Flavor how much we care! We pride ourselves on being a ground breaking and unique service to the hospitality industry thats offers affordable and swift solutions to typical problems affecting the profitability and survival in a field that works on small profit margins and everchanging circumstances. *As an example we have designed a web site system that puts the owner in charge through a control panel, so daily changes such as rotating specials can immediately be applied, rather than waiting hours if not days, for a web designer response. Goal : Save on costly web site maintnence fees. Below are a few examples of services we offer. Suellen Calhoun of Des Moines, Iowa, the Grand Champion of French’s First Ever National Cook-Off,organized by marketing firm The Bender Hammerling Group (BHG) http://www.bhgpr.com/, had the winning dish of Onion Polenta with Spicy Tomato Avocado Salad. David Rosengarten of Food Network fame was the guest of honor and event MC. He joined an esteemed judging panel onsite that included Jackie Plant of Woman’s Day magazine, Heather Meininger, founder of the popular mommy blog, MommiesNetwork.org, Aileen Gallagher, Senior Editor of the esteemed food blog GrubStreet, Chandra Turner, executive editor of Parents magazine, Pat Mullooly of Newsday Kids and Janet Andreas, the Culinary Manager of the French’s Test Kitchen. In addition to Carolyn, the French’s judging panel selected three other contestants for advancement. One additional contestant was named the “People’s Choice” candidate, winning the popular online vote by consumers nationwide. The top five finalists are: Carolyn Beal of Lutz, FL with her French’s Party Pinwheels; Heather Beedle of Curlew, WA with her Irresistible BBQ Turkey; Suellen Calhoun of Des Moines, IA with her Onion Polenta and Spiced Tomato Avocado Salad; Mary Lund of Circle Pines, MN with her Stoplight Sausage Stuffed Peppers; and Erin Renouf Mylroie (“People’s Choice” candidate) of Santa Clara, with her recipe for Cheery-Cheery Chicken with Crispy Onion Grits. Below are Suellens, Carolyn’s, Erin's, Heather’, Mary’s recipes. In addition, to view all the delicious recipes that have been submitted go to www.frenchsfoods.com and check out a host of offerings that are sure to liven up your weekday meals! Major Bloomberg declares March 2oth 2010 " Man-O-Manischewitz Cook-Off" Day ! Sarah F reedman-Izquierdo of Miami Beach, Florida took the National Championship in the live Man-O-Manischewitz Cook-Off – the only national kosher cooking competition in America organized by marketing firm The Bender Hammerling Group (BHG) http://www.bhgpr.com. Five finalists, selected from over 2,000 entries, competed live at the JCC in Manhattan in front of a prestigious panel of judges lead by legendary Chef Jacques Pepin. This year’s contestants were required to use Manischewitz’s newest product, its all-natural broth, made with real chicken and beef, as one of their ingredients. Sarah’s award winning recipe was her Mandarin Dumpling . Check out her winning recipe and other finalist entrees...here below ! Culinary Support Group shoots menu images for Cattlemens Steak House with our reknowned photographer Blake Gardnder. Check out all the juicy steaks on Cattlemens menu. 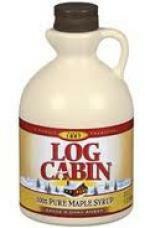 Culinary Support Group shoots menu images for Log Cabin Maple Syrup e with our reknowned photographer Blake Gardnder. Marketing Group Bender Hammerling of New Jersey commisioned Chef Armand and Blake Gardner to shoot and develop recipes infused with Log Cabin Maple Syrup for national release. 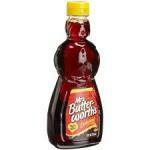 Culinary Support Group shoots menu images for Ms Butterworths Syrup with our reknowned photographer Blake Gardnder.